Aluminum Corp. of China, better known as Chinalco, is said to have approached the Guinean government with a proposal to take over the entire Simandou iron ore project, the world’s largest untapped resource of the steelmaking ingredient. The moves comes about seven months after Rio Tinto (ASX, LON:RIO) agreed to sell to the Chinese company its 46.6% stake in the giant project for up to $1.3bn. The deal gave Chinalco almost 80% of the project, with the Guinean government holding the rest. While the requested parts of the project belong to Guinea, they are at the centre of litigation between it and Israeli billionaire Benny Steinmetz's BSGR. 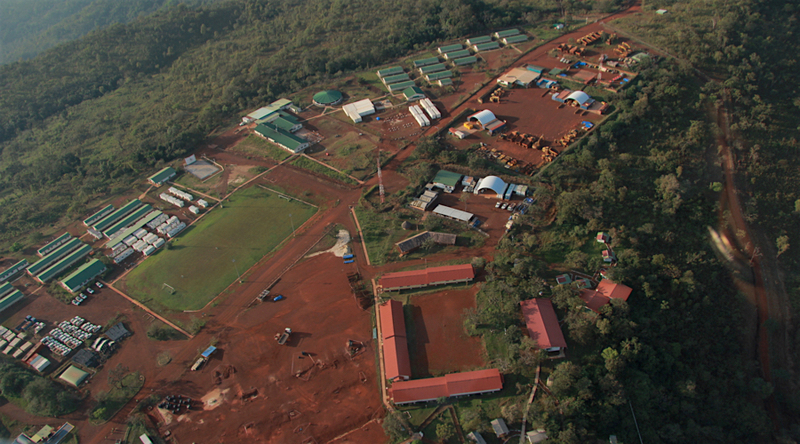 The state-owned miner's written proposal for Simandou, Reuters reports, was sent to the government in March and included a motion to take over blocks 1 and 2 before it starts developing 3 and 4. Simandou, with over 2 billion tonnes of reserves and some of the highest grades for direct-shipping-ore in the industry (66% – 68% Fe which attracts premium pricing), has a chequered history. It was originally discovered by Rio Tinto, which held the licence for the entire deposit since the early 1990s. In 2008 the firm was stripped of the northern blocks by a former dictator of the country. BSG Resources acquired the concession later that year after spending $160 million exploring the property. In 2010, it sold 51% to Vale for $2.5 billion. The Rio de Janeiro-based company stopped paying after the first $500 million after missing a number of development milestones. Then the new Guinean government launched a review of all mining contracts awarded under previous regimes, including an investigation into the Vale-BSGR joint venture which concluded the later had won its mining rights through corruption. The Guinean inquiry cleared Vale of any involvement in the alleged corruption. To date BSGR denies the allegations and even launched arbitration proceedings against Guinea last year. Shortly after, Rio —the world's number two producer of iron ore — officially pulled the plug on the project. Following an internal probe, the company alerted US and UK authorities in November of a $10.5 million payment made in 2011 to a French investment banker involved in helping Rio obtain its mining rights over Simandou. With complete control over Simandou, Beijing would be a step closer to securing iron ore supply for its vast economy for decades to come. China consumes more than 70% of the world's seaborne iron ore and imports have been gradually displacing domestic production, which has pushed dozens of local iron ore mines into bankruptcy in the past two years.